Although many of us would like nothing better than to dote on a favorite baby all day long, medical experts have offered some surprising turnarounds and concessions for the new year about what they do and don’t know about infant care-giving. They have made a 180-degree reversal on their advice to parents on dealing with the rising problem of peanut allergies, while also suggesting that a familiar product may be more useful than thought to combat a common skin woe. And they have said that 90 percent of the medications given to newborns aren’t approved for such uses by the federal Food and Drug Administration. The number of American children with nut allergies has quadrupled in the past 13 years, and peanut allergies are now estimated to affect 2 percent of them. Most schools now ban foods with peanuts, and manufacturers are required to label whether food contains peanuts or was manufactured in a facility that processes them. The soaring price of EpiPens, which are used to treat a severe allergic reaction and retail for up to $650 for a two-pack, has become a hot political topic. 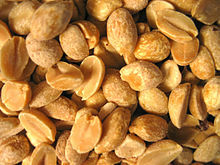 Food allergies became a huge concern, in part because experts, such as the American Academy of Pediatricians in 2000, had urged moms to “eliminate peanuts and tree nuts (e.g., almonds, walnuts, etc.) and consider eliminating eggs, cow’s milk, fish, and perhaps other foods from their diets while nursing.” The academy also said then that children at high allergy risk should not receive solid foods until age six months, no dairy products until 1 year old, no eggs until age 2, and no peanuts, nuts or fish until age 3. The pediatricians significantly eased their food guidance in 2008, and parents now should be carefully feeding peanuts to babies as young as four months old, experts say. They said they are recommending this major change based on striking, rigorous research and practices in other countries, including Australia, Israel, and Britain, where experts ran a highly praised, randomized, controlled clinical trial involving more than 600 children. British experts published their work in the peer reviewed and respected New England Journal of Medicine in March, 2015, helping to further persuade their American colleagues of the validity of their approach — giving babies, including those prone to allergies, small, carefully monitored doses of peanuts, starting with watered down peanut butter and progressing. Experts say babies who get early, frequent exposure to them as their immune systems are developing have significantly lower risks —as much as an 81 percent relative reduction— of allergies to peanuts, as has been demonstrated overseas. Let’s be clear: Although the NIH is making widely public its regimen, parents probably should not try to desensitize their babies on their own to peanuts and other allergens. They should consult with their pediatrician, and possibly an allergist. They also need to be aware that the regimen differs depending on babies already demonstrated allergies, including if they have the skin condition eczema or egg sensitivities. Eczema itself has gotten an interesting re-visit from medical researchers in the Midwest who found that a familiar product may be more useful than had been thought in dealing with the common skin condition. Researchers at Northwestern University looked at earlier studies that found the parents might help youngsters avoid eczema, with its red, scaly, and extremely itchy skin, by moisturizing them a lot as babies. They tested seven common products, and for cost and value, petroleum jelly topped their lists, followed by sunflower oil. They said more research needs to be conducted to affirm what studies are suggesting: By keeping babies’ skin moisturized early on, especially when their immune systems are developing, it may be possible to reduce or prevent eczema. That could be a boon because the condition can be persistent, highly irritating, and lead to costlier care, including treatment for infections when tormented youngsters scratch themselves to excess. The researchers said petroleum jelly was relatively cheap, especially if it could avert the need for other dermatological remedies, including steroid creams or injections—which both are common treatments. Eczema poses more problems at this time of year due to the drying effects of too hot baths or showers, strong soaps, and forced air heating systems. They are among the tiniest, frailest, and sickest patients that doctors and hospitals try to treat. Many will receive up to 60 medications in the first weeks of their lives. And the truth is that the doctors dispensing them aren’t sure what the dosages ought to be, nor exactly what the drugs will do — largely because there are few rigorous clinical trials for medications affecting the babies treated in NICUs (neonatal intensive care units). As Stat, the online health information site, points out, 90 percent of medications given to newborns will be administered in ways unapproved by the FDA. Doctors say they must treat the sick. They develop, over time, better guesstimates as to how drugs work with ill babies who may be just days old. They base dosages on their own and shared experience, infants’ weight, and what they know about how medications affect adults. Big Pharma, clinicians say, finds the challenges too huge to run clinical trials for their products’ use in tiny infants. They’re a minuscule population, so vulnerable that it often is difficult to collect adequate data and specimens — and there aren’t big profits to be made on these patients because they won’t take tested drugs for a long time. The health news site says that some clinicians are pushing for improvements, including by publishing in peer reviewed and respected medical journals a framework to conduct medically, ethically, and pragmatically sound clinical trials. This is long overdue, in my view. It’s good to see researchers and clinicians push Big Pharma to step up to take all reasonable steps to protect patient-consumers who will use their products. In my practice, I see the terrible harms that medical services, including bad drugs, can inflict on babies and children. I’ve denounced the practice by some physicians of prescribing in off-label fashion powerful antipsychotics to tots. I also know that, on the opposite end of the age spectrum, we know too little about how drugs affect the aged. Too many seniors get inundated with medications, some of which can interact badly. I also see in my practice that some caregivers and institutions wrongly medicate patients to keep them docile, compliant, and effectively like zombies. Both the very young and very old, because of their weight, metabolism, and other age-affected bodily functions, process medications differently than do the adults who typically participate in clinical trials that lead to regulators’ approvals for drugs’ market uses. That makes it crucial that we be vigilant about all unapproved uses of drugs, no matter how well-meaning these may seem.